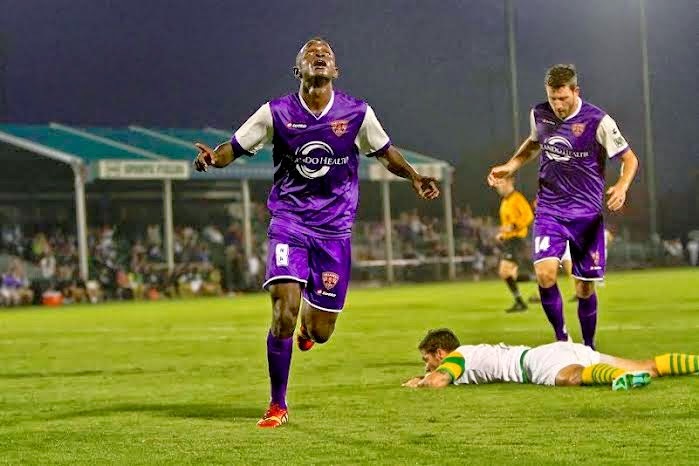 After four consecutive league wins, two of which include pivotal road games, Orlando City SC are not only sitting in first place in the USL PRO standings but also haven taken the top spot in the latest SBI USL PRO Power Rankings for Week six. Kevin Molino’s outstanding performance during the Lions’ previous road-stretch, which saw the midfielder produce three goals in two games, has paved the way for Adrian Heath’s men who are also riding a four-game winning streak. Despite the windy conditions Orlando encountered at Oklahoma City, the Lions will place the Energy for second-consecutive week on Sunday at the ESPN Wide World of Sports Complex. Check out the SBI rankings, and see who else in the league is battling for that top spot.